With the addition of two wheels to your life, you could become the fittest you’ve ever been. Cycling has the ability to improve strength along with cardio, and it’s possibly the activity you never knew you needed! Come spin your way to better health. Cycling at American Family Fitness in Short Pump is here to get you there! 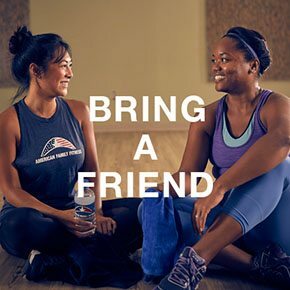 With energetic instructors and fun, pace-setting music, you will be able to give it everything you’ve got. You will climb and descend mountains, race over flats, and roll over hills. It’s definitely time to get your race on. Cardio may be important, however many find it boring. Cycling group exercise at our Short Pump health club is here to prove that cardio can be fun and invigorating. With fun, pace-setting music and motivating instructors, you will be so focused on the finish line that you won’t realize how fast your legs are pumping. Come join us in a race to the finish line! We understand you have a very busy schedule, so at American Family Fitness in Short Pump, we want to give you every chance to get on the bike. We offer several classes a day, multiple days a week for your convenience. Classes include freestyle cycle, R30, and Ride. 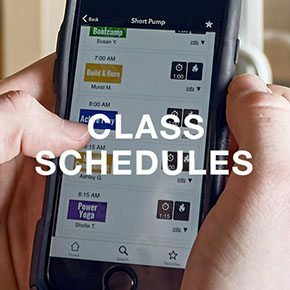 Visit our Class Schedule page to find dates and times.